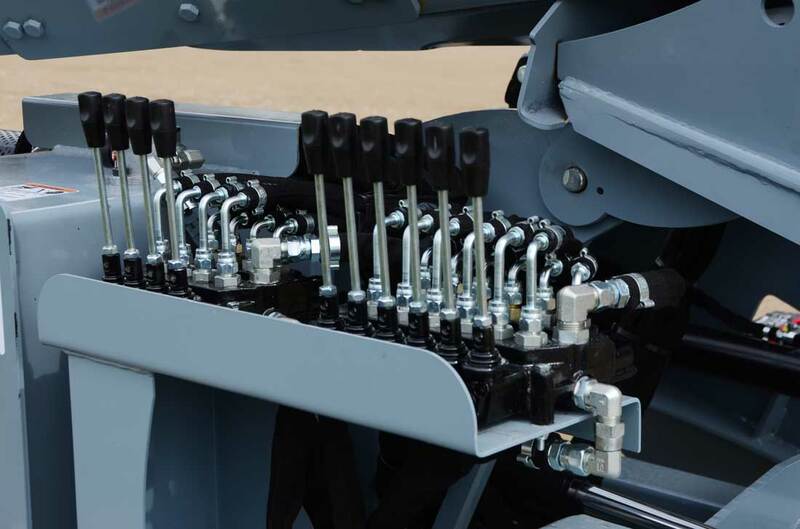 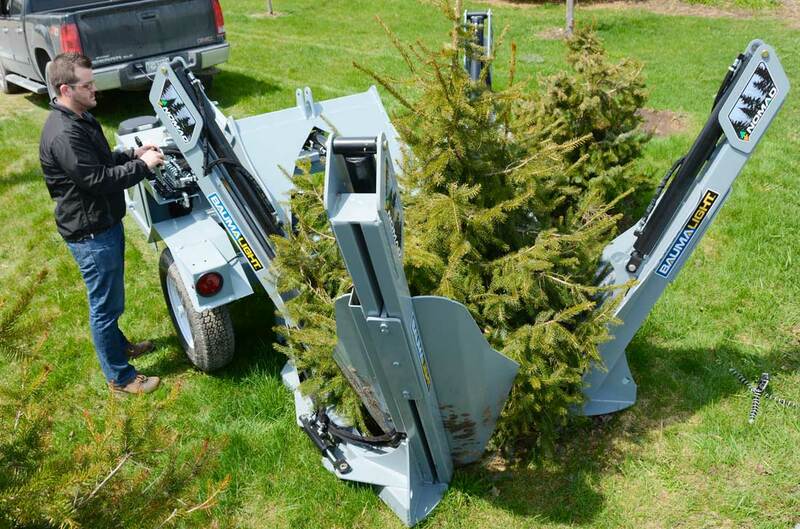 The Trailer Mounted TR440’s 3D positioning system allows you to fine-tune the placement of the trailer and the tree spade without getting in and out of your truck, providing improved initial and final positioning for your spading operation and transplant results. 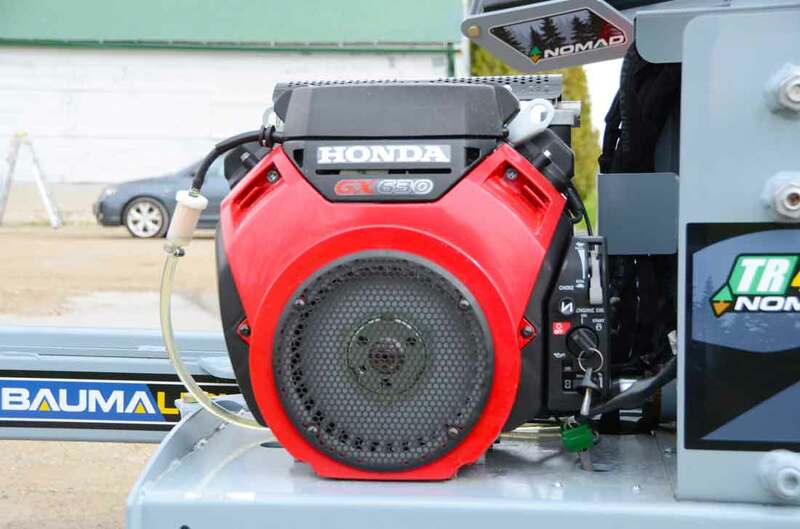 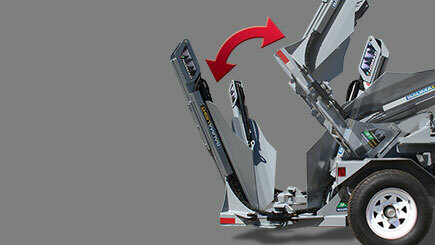 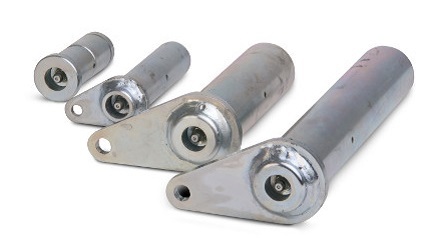 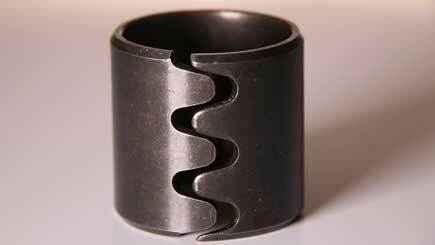 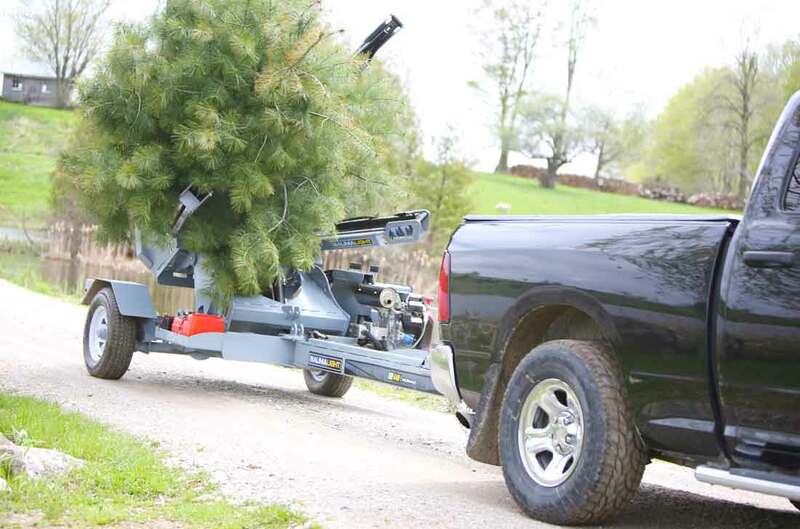 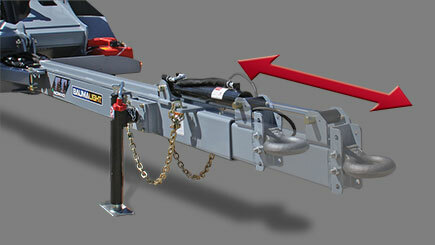 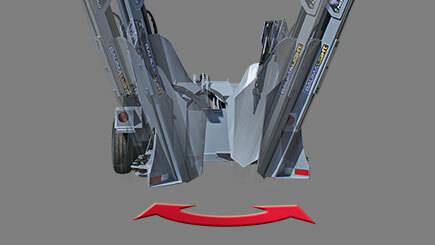 The Hydraulic Tongue extension easily places the Nomad trailer at the proper distance. 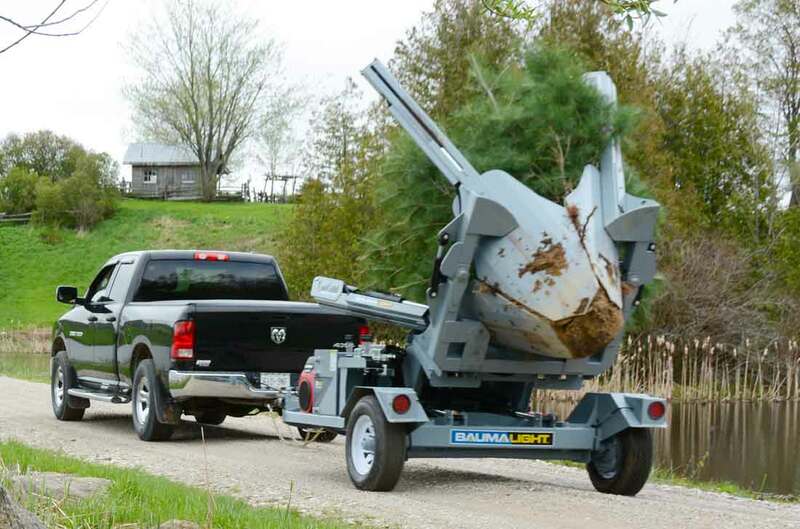 The lateral adjustment fine-tunes the positioning of the tree spade. 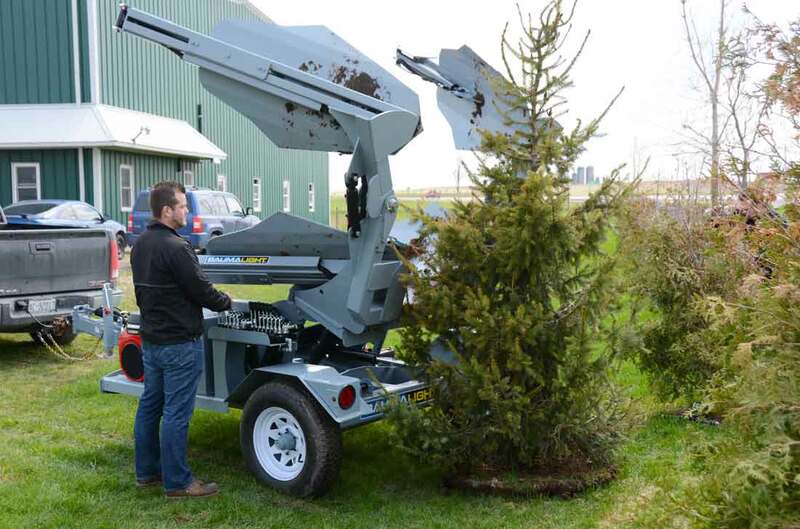 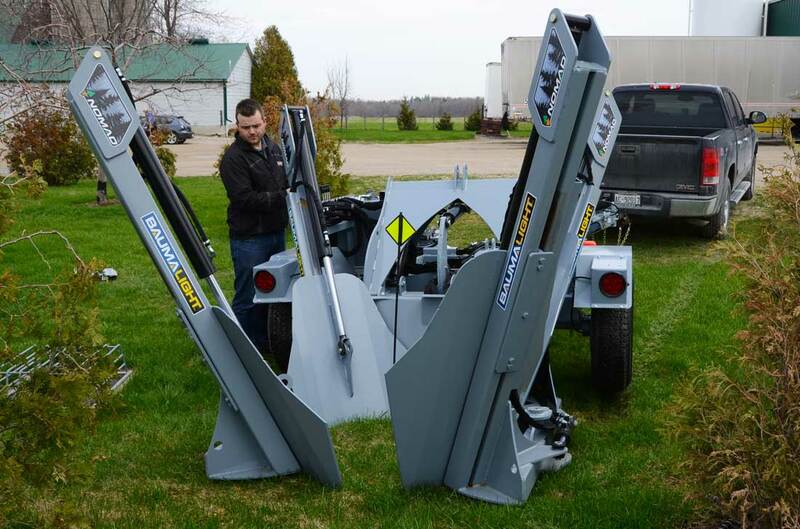 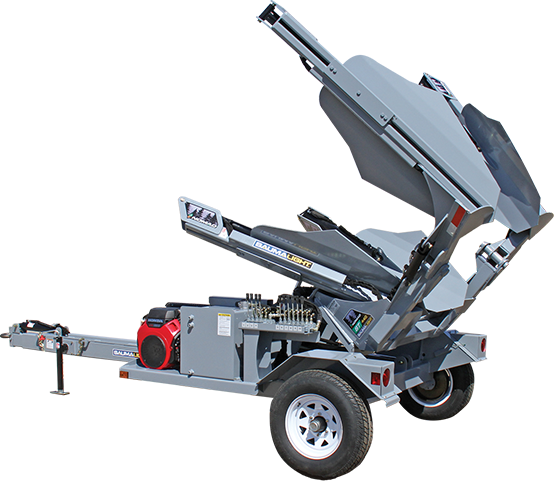 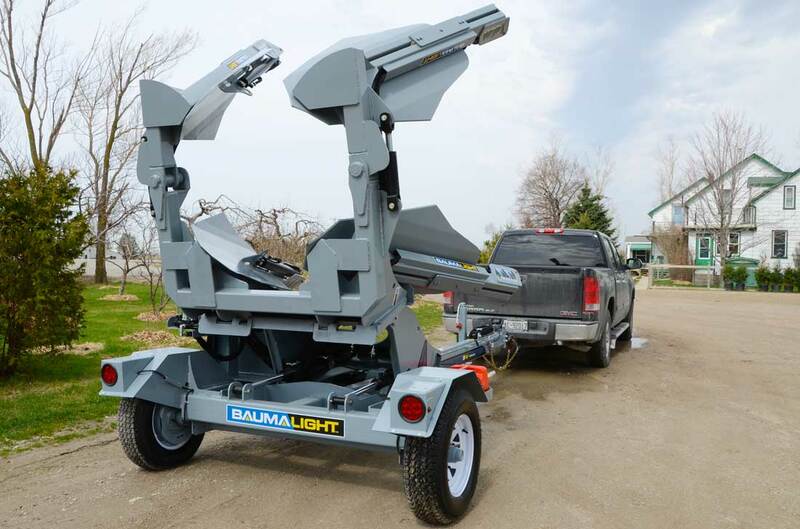 The two-stage tilt and lift puts the Nomad Trailer Mounted tree spade firmly in contact with the ground for confident spading and lifting. 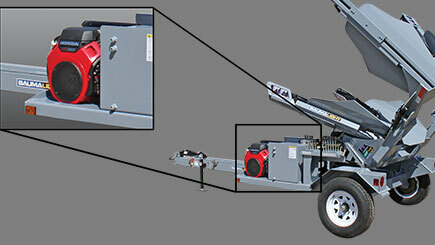 All of the trailer’s power for digging and lifting is provided by an electric start, gas-powered hydraulic power pack. 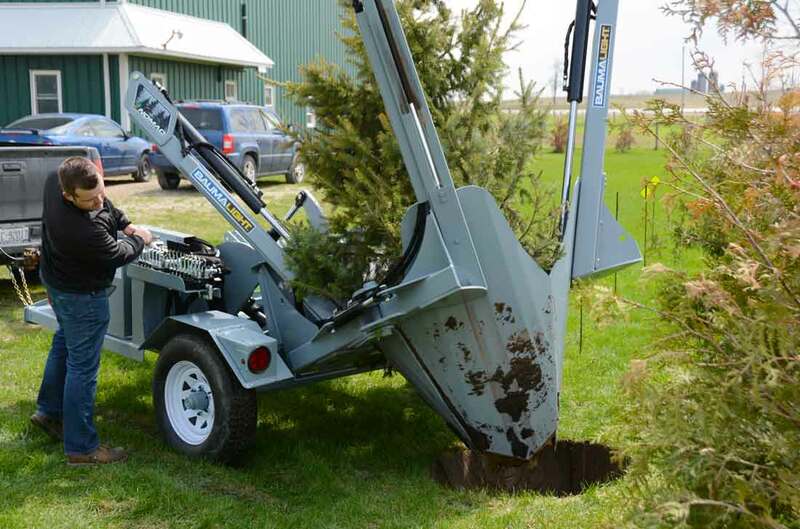 Tree Size (Evergreen) 4" 5"
Tree Size (Hardwood) 3" 4"
Root Ball Diameter 40" 50"
Root Ball Depth 30" 43"